Diane Winton is the owner of brand new business, Wincanton Sew & Sew. This is a perfect example of someone who has a passion for their hobby and is now taking it to the next level. That hobby has now become a High Street business. 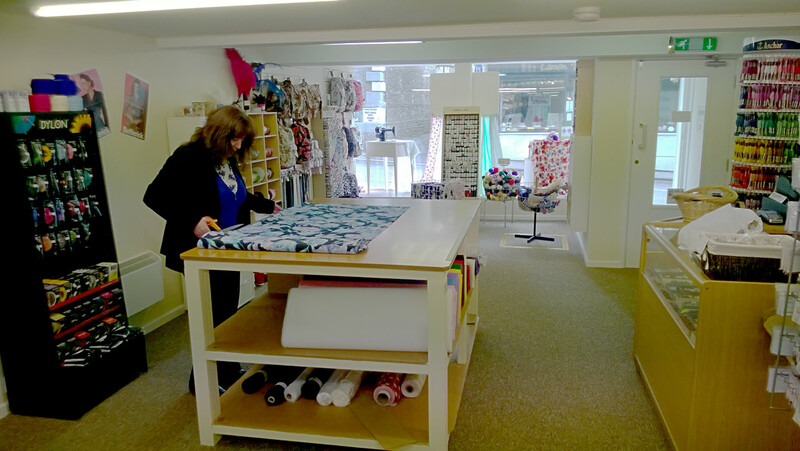 Sew & Sew is based in one of the two new shops created by the splitting of the former Brock's shoe shop. The shop is light and spacious, with multiple product displays crammed full of all things sewing. 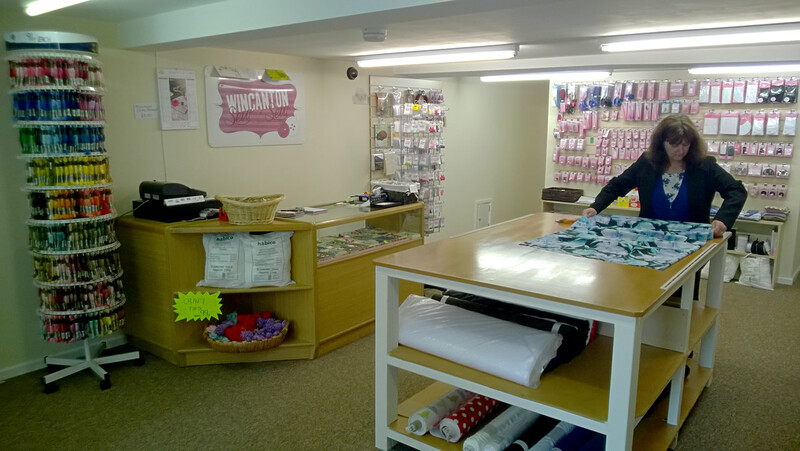 Centre spot in the shop is taken by Diane’s practical work station, used for cutting fabrics. She is playing to her strengths by having a large stock of sewing supplies. The very traditional skill of sewing has had new life injected into it because of the success of TV’s reality show “The Great British Sewing Bee”. Sewing is now front and centre on our TV screens and the result is fresh interest across the nation. At Sew & Sew Diane is able to cater for all your sewing requirements. If it's not in the shop, she can probably get it. Diane is also setting up classes at The Balsam Centre for anyone interested in sewing, using a qualified local tutor. Courses spanning 8 weeks (2 hour sessions) will be tailored to groups of the same general skill level. The cost for the course is £65.00. Courses will commence when the ten places are filled. Diane is currently offering Butterick patterns at half price, so drop in soon to get yours. 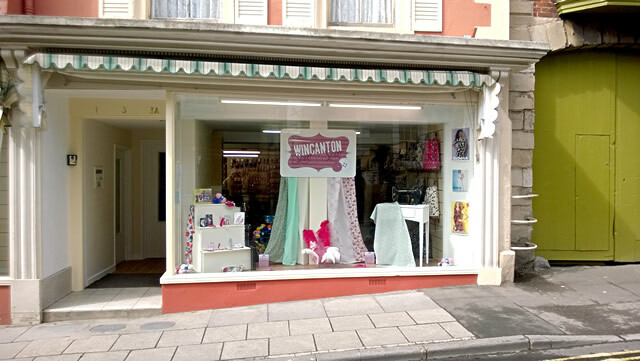 Congratulations on an exciting new venture Diane, hopefully as we see more and more new shops opening on Wincanton High St more and more people will see a reason to shop in Wincanton, there are many good existing business on the High St already and as more open there will be even more reason to shop here.